BMW seems to constantly change its recommendations every few years as new partnerships are formed. Currently, BMW recommends Pennzoil Synthetic Motor Oil and BMW Twinpower 5W30 Synthetic. So, if you want to follow BMW recommendation and change your preference as BMW changes their suggestions every year, you’ll need to purchase Pennzoil Synthetic Motor Oil and BMW Twinpower 5W30 Synthetic from a BMW dealer or other distributor. However, if you are fine with an oil that just meeting BMW specs, you must carefully look into the details, as BMW has listed very specific oil weights and types produced by each manufacturer. Oils that are compliant and adhere to BMW-specification have it clearly listed on the rear label of the oil bottle. You should pay attention that not all oils by a manufacturer or even all weights of a specific oil type are considered LL-01 compliant. Pennzoil Synthetic Motor Oil is refined oil with all impurities removed and is extracted from crude. Its 5W viscosity gives an excellent lubrication to your BMW engines by creating a layer of thick protection between the engine parts. The oil is fairly priced which means you get a high quality product at an affordable cost. If you live in areas with extremely cold weather, Pennzoil is the way to go as it is also resistant to freezing meaning it will help you start your car faster without delays even in the coldest days. Additionally, it will not evaporate when faced with hot temperatures making this a perfect choice for all weathers. Since 2015, Pennzoil is the recommended oil for BMW engines. You will not have to worry about polluting the environment while disposing of these oil remnants as it can easily be drained by filters of any contaminants and reused. Another amazing function is it acts as an engine-cleaning agent as the oil accumulates all impurities stuck on the engine while ensuring normal engine functionality. Pennzoil takes away the excess heat from the engines protecting the engines from overheating. Due to a combination of accessory ingredients with the oil, it is resistant to breakdown and leakage. Contained in a 5 quart gallon with handles on the sides, Pennzoil is easy to pour and conveniently portable. 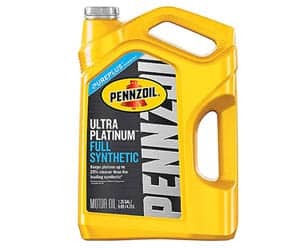 Affordable, recyclable and highly portable and approved as BMW LL-04, Pennzoil Synthetic Motor Oil is unbeatable in regards to keeping your BMW engines lubricated. Keeps pistons up to 65 percent cleaner than required by the toughest industry standard. Mobil 1 is cutting-edge synthetic oil suggested for use in all BMW series vehicles. 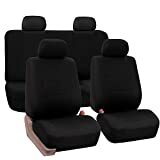 It surpasses the newest OEM and industry sanctions and helps achieve the best from your vehicle in not only ordinary conditions but also the harshest driving situations. 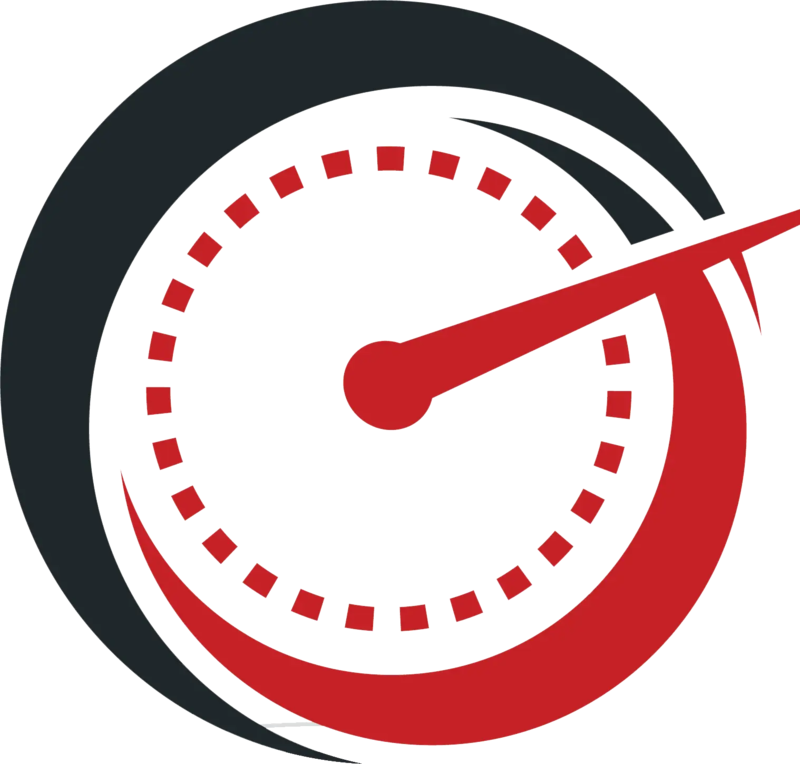 The oil is devised to gratify to the necessities of both the latest gasoline and diesel engine technologies to warrant the vehicle executes at its best. Providing immediate start-up lubrication with its temperature protection abilities allows the oil to continue flowing in very low temperatures and also has the ability to withstand extremely high temperatures reducing stress on the car’s engine. This temperature protection ability of the oil gives your car an instant start even in the coldest days, which most regular oils cannot deliver. In conclusion, the oil retains your engines smooth running capacity even in the harshest weathers or toughest driving conditions. Safe for both gasoline and diesel fuel engines. Protects the engine from potential wear and tear in the most extreme driving conditions. Can endure temperatures as low as -40 degrees F and as high as 500 degrees F.
Mobil 1 motor oil is designed to efficiently clean dirty engines while preventing further accumulation of engine deposits and sludge to extend the engine life. 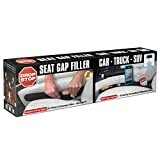 It also provides your car engine with excellent lubrication protecting your engines from wear in any extreme driving conditions while delivering a smoother and quieter running engine. Due to the oil’s heightened frictional properties reducing friction between engine parts your BMW gives you increased mileage reducing your fuel costs and thus improving your overall fuel economy. Castrol oil offers extended engine performance that allows you to save money that would have been spent on buying new oil or engine. 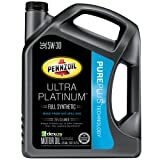 With this highly affordable oil, you can run your engine for up to 15,000 miles without having to change the oil again. Another awesome quality of Castrol is its recyclability i.e. after removing the impurities and deposits by draining the oil, you can reuse it, as synthetic oils like Castrol do not contain impurities like in crude oils making Castrol cost-effective and environment friendly. All Castrol motor oils are distilled and refined thus keeping you safe from potential respiratory conditions from any fumes or smell emitted from the oil. 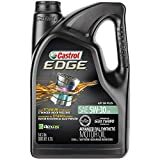 Castrol 03057 being synthetic oil benefits in reduction of engine wear extending its life attributed to the frictional additives it contains that diminishes the friction between engine parts allowing it to move fluently in the engine. The oil comes with a thickness of 5W inhibiting its escape into the air through evaporation and can endure long vigorous operation preventing any possible leakage. Although Castrol oil is comparatively expensive than conventional motor oils, it saves you money in the long run by cutting back on your fuel expenses by keeping the engine cool and reducing friction between engine parts and thus increasing the mileage on your vehicle. 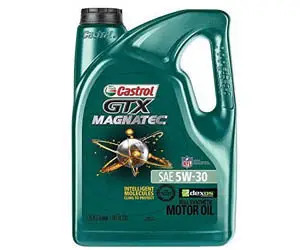 The forte of Castrol 03057 GTX MAGNATEC 5W-30 engine oil is that it is formulated considerably different from other synthetic motor oils with molecules that are especially generated to adhere to your important engine parts in all driving conditions. The protective layer of the Castrol 03057 engine oil on your engine parts ultimately leaves them about 4 times smoother than it usually is resulting in reduced friction and consequent minimal engine wear. Valvoline oil is great for complete protection from all extreme weather conditions creating a perfect balance to withstand both heat and cold. 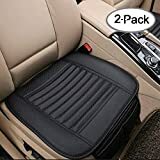 Come winter, every car owner has the same issue i.e. difficulty starting up your car engine. This problem is easily solved using Valvoline oil that has been formulated to endure freezing cold and still remain light. Even in days of excessively high temperatures, Valvoline resists evaporation from the heat and you will have no complains of leakage while on this product. On the other hand, high temperatures can cause the oil to break down and leak out. In fact, the oil cannot evaporate when heat builds up in the chamber. The oil is recommended for cars that use gasoline and is not suitable for diesel engines. 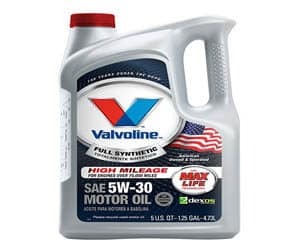 While your engine is on Valvoline there will be a reduction in overall fuel consumption because the oil increases your engine’s combustion rate. While being an excellent lubricant, Valvoline oil also acts as a cooling agent by absorbing all the heat from the engine. Even though your engine is kept idle for months, if you have Valvoline oil in it, your car will be protected from rust for a long duration as the oil inhibits any form of corrosion. 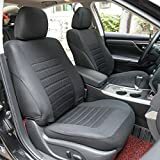 As it is prepared in the lab with extensive refining by distillation, it is free of all crude impurities and thus removes any deposits in your car by constantly circulating inside. The affordable price, 4 litter gallon packaging, and recyclability makes it an excellent choice for your BMW. 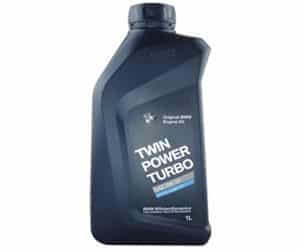 BMW Twinpower 5W30 Synthetic is specifically designed for BMW latest turbo engine models providing the latest engine-protection technology with improved performance. The outcomes of using this oil on BMW were immediate enhanced acceleration with improved fuel economy. It also meets the standards for BMW’s extended service intervals. BMW TwinPower Turbo Engine Oils has been endorsed by BMW as the greatest choice to preserve your engine in the best possible condition and were explicitly formulated to improve cold starting and assure consistent functioning from BMW engines in all temperatures. Its active Cleansing Technology provides optimum protection from corrosion and wear, guaranteeing excellent engine performance while keeping critical engine parts clean, lubricated and protected. BMW has formulated its own exclusive motor oil that boasts stable performance over highly variable temperature ranges from extreme heat to freezing cold. It can bear great engine loads with claims of superior protection and performance in both turbocharges and non-turbocharged engines. Its patented active cleansing technology provides protection against deposits formation and development of corrosions consequently elongating the life of your engine. There are numerous other synthetic motor oil brands that could be used in your BMW. Above, I have reviewed five of the top-rated and widely used brands in the market that are recommended for use as BMW motor oil. These five brands included Pennzoil, Mobil, Castrol, Valvoline and BMW. In conclusion, synthetic oils perform much better than conventional regular oil brands. However, there are many things you need to consider while purchasing synthetic oil. Next, I will go in depth to explain the considerations required while selecting motor oil for your BMW. What oil to put in a BMW 5 Series? What engine oil to use for BMW 3 Series? What oil to use for BMW 1 Series? Can you put 5w40 in a 5w30 engine? Can I use 5w30 instead of 10w30? How many quarts for BMW oil change? BMW reviews and revises their oil formulations every few years on the basis of existing engine design, mileage and emissions necessities, fuel type and quality, region, and marketing (service plans). Each new spec is coded by year and approximately matches new generations of BMW engines. There can be numerous oil viscosities for the same rating. These ratings are just a guide so that the suitable oil is used for your engine design. Special long-life engine oil, approved by BMW. Also meets ACEA A3/B3, API SJ/CD, EC SAE 5W-40. Generally required for BMWs manufactured before MY 2002. Obsolete since 2009. BMW no longer produces oil in this specification but LL-98 alternatives exist (Red Line 5W40). LL-98 oils are compatible with LL-01 oils. Anything with this rating has also been approved for older model BMWs. Special BMW approval for fully synthetic long-life oil. Product meets ACEA A3/B3 and API: SJ/CD EC-II. Generally required for BMWs built after MY 2002. Can also be used where BMW Longlife-98 oil is recommended. The first revision with detergents and additives brought in to work with the ridiculous 15,000-mile oil change interval that BMW endorsed at the time and certain sections of the formula were removed or reduced. Nevertheless, once cars and engines were out of guarantee and mileage added the adverse effects of prolonged oil, changes were realized (i.e. oil sludge). In 2016, BMW revealed new 0W30 to replace the 5W30. 0W30 carries the same LL-01 approval with a FE label, making it backward fitting but also resulting in newer models v=becoming more fuel-efficient. Fully synthetic long-life oil with fuel economy properties. Oils that meet these specifications have a low HTHS viscosity to meet the producer’s fuel economy requirements. These oils are only appropriate for the following engines: N1x, N2x, N54, N55, N63, N74. Special BMW approval for fully synthetic long-life oil. Viscosities are SAE 0W-30, 0W-40, 5W-30 and 5W-40. Generally required for BMWs equipped with a diesel particulate filter (DPF). Can also be used where BMW Longlife-98 or BMW Longlife-01 oil is suggested. The LL-04 oils have been significantly misunderstood in the past but this is now in increased demand. Most LL-04 oils are intended for Diesels, while it was also approved for gas engines in other world markets. Engine builders have long valued Diesel oil and tuners because of its higher levels of ZDDP and higher HTHS ratings, both are brilliant indicators of engine protection at higher temperatures. LL-04 also has a lower SAPS value, which is great news for direct-injection engines. Special motor oil for certain approved gasoline engines and these diesel engines only: Nx7K1, Nx7U1, Nx7O1 from model year 2013. Not suitable for engines with 2 or 3 turbo. Special motor oil for the gasoline engines: N20, Bx8 from model year 2014. Not allowed for diesel engines. Formulated for certain gasoline BMW engines from the 2014 model year, including the N20 four cylinder engine and all new modular B-series engines. The rationality for the N20 is unpublished but may have to do with making N20 models more fuel efficient and evading gas-guzzler and CAFE penalties. LL-14 oils have significantly lower friction levels than all other BMW oils. ACEA C5. SAE 0W20. Replaces the LL-14 spec for N20, B38, B46, B48, and B58 engines. BMW will likely stop offering a LL-14 in the US. This appears to be a slight update to the LL-14 formula and devised for enhanced emissions. However, it is not well suited as performance oil. Most BMW owners are perpetually confused and have many questions regarding the best engine oil for each BMW series. Below, I have listed the most frequently asked questions from customers. The best engine oil for BMW 5 Series is 5W30 synthetic grade oil owing to its viscosity and BMW recommendations. The BMW 3 Series is obtainable in both petrol and diesel forms. The recommended engine oil for the petrol version is 5W30 synthetic and 5W40 synthetic for the diesel model. 5W-30 fully synthetic oil that has been approved by BMW as Longlife-04 oil is recommended for use in petrol and diesel engines. 5w40 and 5w30 have variable thickness in cold temperatures with 5w30 being the thinner of the two. For this reason, it’s recommended to use it instead of 5w40 for vehicles operating in cold climates. 10w30 is higher viscosity oil and will flow slower at low temperatures compared to lower viscosity oil like 5w30. A higher viscosity or thicker oil will seal better than low viscosity oil. 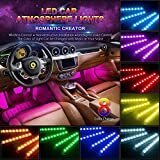 Hence, I suggest you to use 5w30 instead of 10w30 for vehicles operating in cold climates. How many quarts of oil do you need for BMW engine oil change? Most BMW engines need between 5 and 8 quarts of oil, varying on the engine size. The smaller the engine, the lesser the oil is necessary to be changed. Nevertheless, you should always refer the Owner’s manual to check the actual volume of engine oil necessary for oil change. All newer model BMWs use synthetic motor oil as guided by the owner’s manual and BMW approved oils fall in the 5w40 and 5w30 viscosities. Before 2015, BMW recommended the Castrol motor oil brand and it is written so on the oil filler cap of all older model BMW cars. Number one: was to change the recommended oil changing duration from 15,000 miles to 10,000 miles which meant you would have to change your oil more earlier than before however there is no doubt that this changed recommendation brought some significant improvement in the car engine’s longevity. The second: major change was on the year 2015, when BMW recommended Pennzoil Synthetic Motor Oil from Shell Brand. Beginning in 2015, BMW is recommending Shell/Pennzoil PurePlus Oils as their aftermarket oil. Initially BMW recommended on their website: BMW Genuine Oil SAE 5w-30 Synthetic Oil is recommended for scheduled oil changes and oil changes should only be performed by an authorized BMW center and if you need to add oil and don’t have BMW Genuine Oil SAE 5w-30 Synthetic Oil, you need to go to an authorized BMW center to have it topped off. 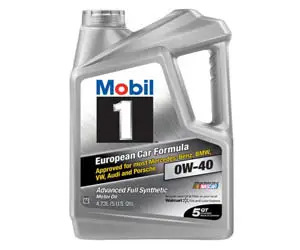 If I had to personally recommend the best oil for your BMW car, I would go with Mobil 1 as it is very affordable, safe for both gasoline and diesel fuel engines, improves long term fuel economy and it can withstand extreme temperature being equally durable in extremely hot or freezing cold weather. It is designed to efficiently clean dirty engines while preventing further accumulation of engine deposits and sludge to extend the engines life. It also provides your car engine with excellent lubrication protecting your engines from wear in any extreme driving conditions while delivering a smoother and quieter running engine. If you live in very hot weather, the best engine oil for your BMW M6 2014 would be Liqui Moly Special Tec LL 5W-30 Motor Oil. It works very well at very high temperatures. It has been tested with turbochargers and catalytic converters for performance. It hardly emits any pollutants and saves fuel. If you’re unable to find it at local stores, you can order the engine oil online or check with your BMW dealership. 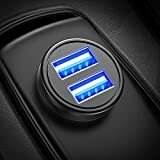 Many BMW owners who’re a part of the At Full Drive community have been using this for more than a decade now, and their car is stilling running strong. You can also try Castrol TWS Motorsport SAE 10W-60 Synthetic Engine Oil, although it is more expensive than other motor oils for BMW M6 2014. How many quarts for an Oil Change?